No, I'm not getting paid to write this post. or that I even exist. Here's why you should be listening to his podcast. 1. If you haven't read The Total Money Makeover or taken Financial Peace University, you should. Life changing stuff that teaches you how to deal with money the smart way and gives you a step by step process to make it WORK. And I can tell you from experience, IT WORKS! 2. If you have read the book and/or taken the classes, it will give you more in-depth info you might have missed or that wasn't in the book, because Dave is talking to real people with real questions. There are so many questions that people have asked that I've wondered about, and heard Dave's wisdom on, from listening to the podcast. 3. There is so much more on these podcasts than just Q&A or financial advice. There is business advice, child raising advice, productivity advice, information on the government and finance, and just overall common sense advice. I've learned how important it is to build trust with your spouse and both get on the same page to start winning. Wisdom in starting a small business the smart, debt-free way. How to encourage entrepreneurship in your children. How to decide to take a job or not. How to teach your children to be smart with money. What stupid people do with their money vs. wealthy people. Why the government isn't going to fix your financial woes. It's just like how you can learn so much more information from wise people when being with them and seeing how they live their day to day life, than when going in for a discussion and questions for them to answer in a half hour. 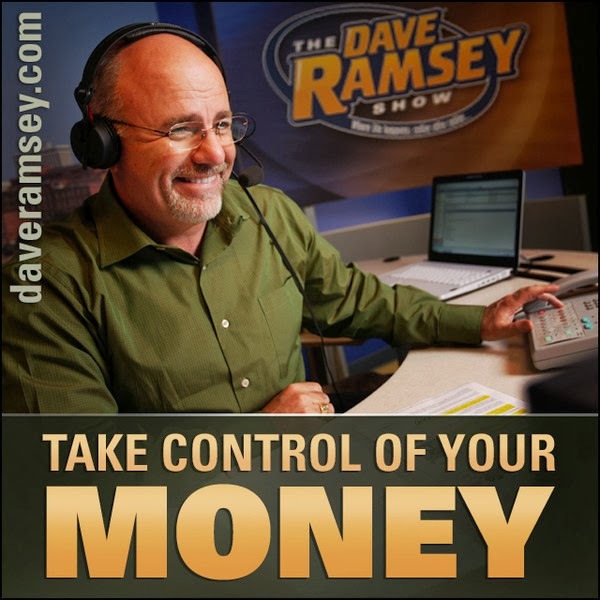 I can't recommend this podcast enough, to help you in so many ways in addition to finances. Most of the time it's when I'm doing just day to day life stuff around the house... folding laundry, making dinner, pre-prepping food on the weekend, doing dishes, when driving, sewing, etc.